The news sites report that the actor Nagato Hiroyuki passed away on May 21 at the age of 77. To talk about Nagato is in some ways to talk about the Makino dynasty in Japanese film history. Nagato's grandfather was Makino Shozo, the Kyoto theater manager who "discovered" Onoe Matsunosuke and made him the first big film star in the 1910s. He went off to start his own production company, Makino Productions, and fostered many of the great jidaigeki stars such as Bando Tsumasaburo, Kataoka Chiezo, and Arashi Kanjuro. He also helped up and coming directors such as Kinugasa Teinosuke, the director of Page of Madness. He is widely known as the father of Japanese cinema. Shozo's son was Makino Masahiro, one of the greatest Japanese film directors (who unfortunately is largely unknown abroad). Shozo's daughter was Makino Teruko, an actress who, after actually having once eloped with Tsukigata Ryunosuke (who played the villain in Kurosawa's Sanshiro Sugata ), ended up marrying the actor Sawamura Kunitaro. He is most memorable for playing the bumbling but affable samurai searching for a pot in Yamanaka Sadao's wonderful Tange Sazen and the Pot Worth a Million Ryo. 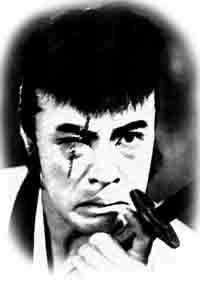 Kunitaro was the brother of Kato Daisuke, a Kurosawa favorite and one of the Seven Samurai , and of Sawamura Sadako, herself a famous actress. The newest issue of Eiga geijutsu (映画芸術 Film Art, number 435, Spring 2011) features a special section on cinema in the classroom. 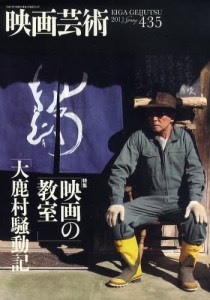 In addition to roundtable discussions (zadankai) featuring Suwa Nobuhiro, Hayashi Kaizo, Tengan Daisuke, Mukai Yosuke and Matsue Tetsuaki, as well as an essay by Terawaki Ken and a questionnaire on whether film can be taught in school, there is a zadankai entitled "Film Studies: Its Presence and Direction" (Eigagaku, genzaisei to hokosei) featuring Tanaka Masumi, Tsuchida Tamaki, Izuno Chita, and yours truly. It was a quite fruitful discussion, recorded the night before the earthquake, and nicely balanced opinions both positive towards and critical against the development of academic film studies in Japan. I should note that the issue also features essays in honor of the recently deceased director Ikeda Toshiharu and an introduction to Sakamoto Junji's new film, Oshikamura sodoki. You can purchase the issue through the Japanese Amazon . It just so happened that the Yale faculty vote to give me tenure was on the same day as a reception for the publication of the anthology Opening Bazin: Postwar Film Theory and Its Afterlife , edited by my former teacher and current colleague Dudley Andrew. I actually heard the results of the vote just before the reception started. The coincidence was quite appropriate because it was in fact a paper using Andre Bazin to analyze Richard Lester's Superman III , written for John Belton during a summer course at Columbia back in 1983, which probably got me started on this career in film studies. Everything somehow comes back to Bazin. The anthology is a marvelous revisiting of Bazin's work, one spurred by Dudley's herculean effort to gather all of Bazin's writings, not just the ones canonized in a few books. 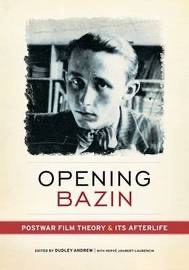 These writings, and the dozens of essays in the book, provide a much more complex and fascinating vision of Bazin's thought. I mention this here in part because there are two essays in the book that talk about Bazin in relation to Japan. First, Nozaki Kan, in "Japanese Readings: The Textual Thread" (pp. 324-329) discusses how Japanese thinkers read and digested Bazin. And second, my student Ryan Cook writes about Bazin's discussions of Japanese film in "Japanese Lessons: Bazin's Cinematic Cosmopolitanism" (pp. 330-334).